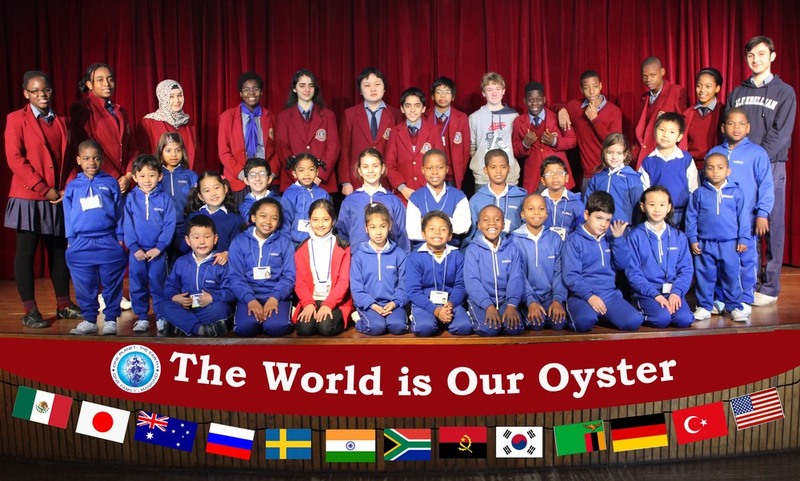 The motto of the school ‘One planet the Earth, One Family – Mankind’ reflects the school’s philosophy of international peace, harmony and brotherhood of man, with the underlying philosophy that children are the best ambassadors of goodwill. Highlighting the motto of Vasudeva Kutumbakam the school nurtures a sense of togetherness that strengthens our humanitarianism and interdependence towards man and nature. 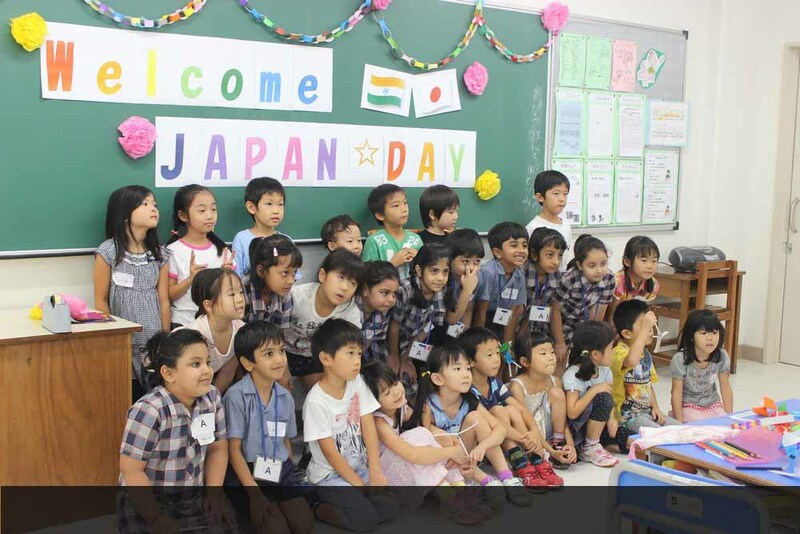 The aim of the programme is to promote international friendship and build cultural bridges, which includes students from Nursery to class XII from various nationalities namely Afghanistan, Nigeria, Angola, Mongolia, Laos, Korea, Zambia, Cuba, Madagascar, Japan, Turkey, Mongolia, Indonesia, USA, Bangladesh etc. The vibrant International School Exchange Programmes encourage visits and exchanges of both faculty and students from all over the world with the school to school exchange experience and friendship schools’ programmes. It commenced with visits to Olinca School, Mexico three decades ago since 1983. Other school to school exchanges include those of Ecole Boulle School, Paris-France; Range Bank Primary School Melbourne-Australia; Gymnasium Suderelbe School, Hamburg; Sabel School, Munich-Germany; Keimei School, Kobe-Japan to name a few. 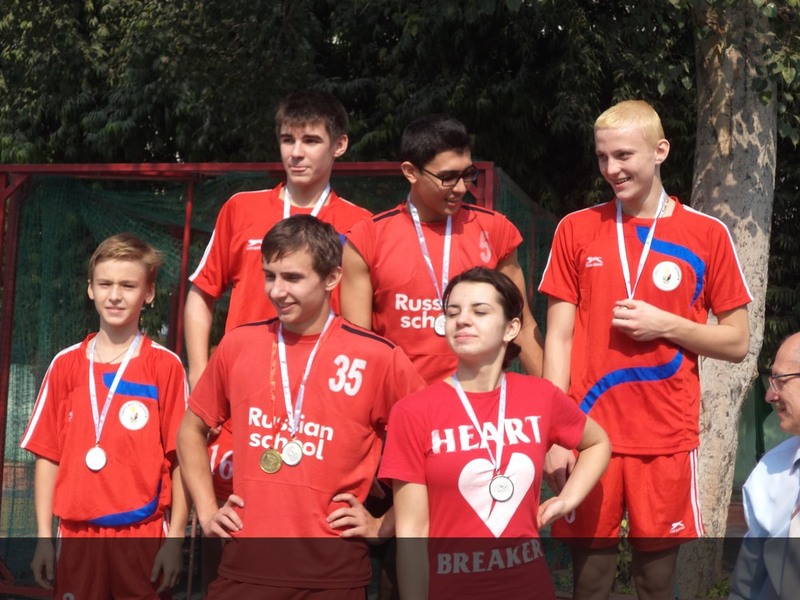 Bluebells International School has strong bonds with the various Embassy schools in Delhi namely The Japanese Embassy School, The French School, The German School, The British School, The Russian Embassy School and the Iraqi Embassy School for Academic, Cultural and International friendship Sports meet annually. 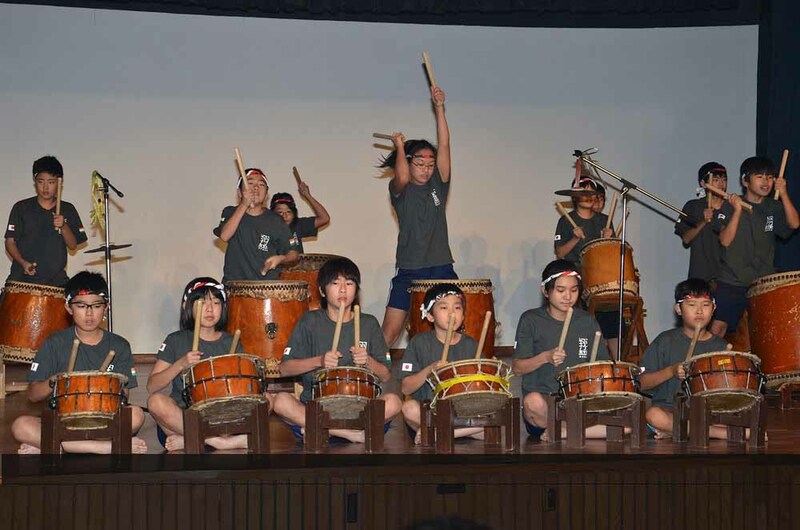 Some of the successful exchanges held recently are - Collaborative Math learning and performing the classical and modern dance forms of both the nations through the successful day exchanges through India Japan Day and Yokoso Japan, the International Sports Meet with the Embassy Schools bringing all world cultures closer through the young ambassadors of tomorrow. Recently the French Embassy School and Bluebells International successfully organised inter school weekend homestays, MUNS and Debate Club activities fostering better understanding. 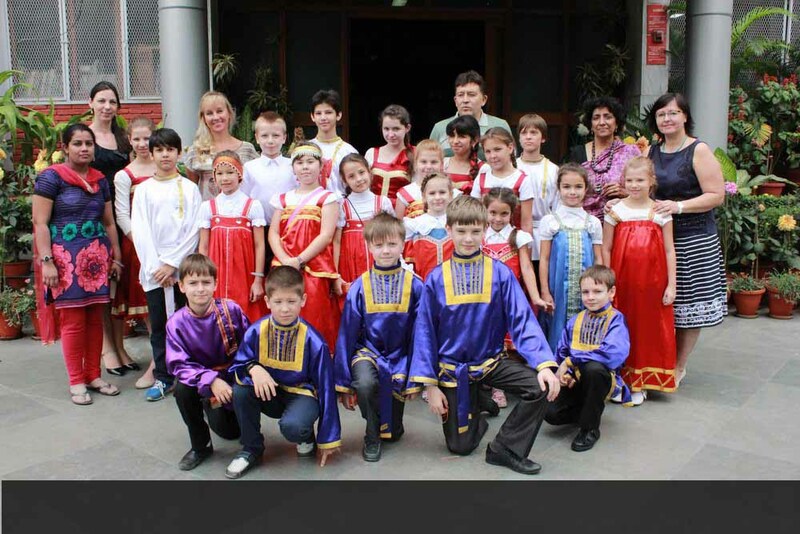 International School Award Programme and UKIERI- in 2005, 2007, 2009 and 2010. These awards are presented to schools for promoting International Peace and Understanding through its global curriculum and students projects. Generation UK by British Council – India Assistant teacher Exchange – A qualified teacher is deputed to teach in our school to promote qualitative English Language learning to students through various use of best practices. Quality Standards in English Language Learning – In collaboration The British Council to ensure qualitative teaching and learning processes to create a standardized system of language pedagogy with the Curriculum for Common European Framework and Reference (CEFR)-to raise proficiency levels. UK - India Metro Project- An interdisciplinary and comparative project done by students in Social Studies and Art on the metro as a lifeline in London and New Delhi propagating the use of public transport to conserve the natural resource. Pasch’s Project - The Yamuna / Elbe Project- comparative art study of the life of Delhi’s water supply with Elbe in Hamburg, Germany and the current polluted status of both the rivers. Bosch Solar Energy as an alternative & sustainable source of energy - a Bosch sponsored programme which culminated in a student- teacher exchange with the Gymnasium Suderelbe School in Munich. The school entries were displayed in a public exhibition in Germany . Tony Blair - Face to Faith Programme - to make connections with student communities across the globe with secular and tolerant thought processes, through lively discussions via video conferencing to promote universal tolerance of world’s divergent communities. Global Citizens Programme, Sweden - Initiated with studnets of class IX from Bluebells School and Sodra Angby School, Sweden in collaboration with the Swedish Government, for two consecutive years of preservation of Cultures and Heritage of the two nations. 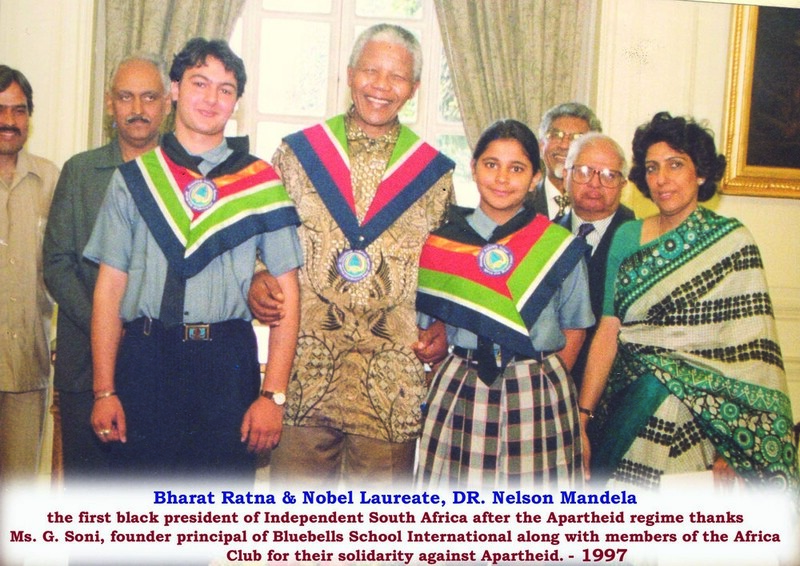 In response to International issues that have escalated the racial prejudice and disharmony in the world, we have championed the awareness against apartheid and racial exploitation. Our Africa Club founded in 1979 rendered outstanding service in creating awareness about this scourge of humanity. The Palestine Club and the Pushkin Club promote secularism propagating the idea of freedom as a man’s natural birthright for one and all in every land . Nelson Mandela Day- remembering the Black Gandhi’s fight against the White Man’s burden and freedom for all ,Pushkin and Jose Marti Day – Celebrating the common man’s war against the oppressive reign through literary renditions ,Shakespeare Day- paying obeisance to the greatest playwright in the history of English Literature through his great works of sonnets and plays, International Labour Day- Respecting every man’s dignity of Labour and rights, Hiroshima Day- Promoting a world of peace and laughter with a renewal of the promise of war free world , and the Human Rights Day – Ensuring rights for all human beings irrespective of their nationality, colour and creed and freedom for all as their birthright through the Model United Nations. We open our windows wide to the cultures of the world, but our feet remain rooted in Indian ethos and culture. We aspire to create a citizen worthy of 21st Century “Where the mind is without fear and the head is held high”.